The shape of things to come: interaction between the Air Support Operations Squadron, Army units, air support and their targets. Winds of change are making their presence felt throughout the New Jersey Army and Air National Guard. In light of this, each Air and Army Guard member needs to be familiar with our Total Force Initiatives (TFI), and the new opportunities which lie ahead. The Base Realignment and Closure Commission (BRAC), Quadrennial Defense Review, Program Budget Decision 720 and Vanguard are several of the outside forces which led up to creating our current TFIs. These programs culminated together in June to create a “Perfect Storm” in terms of missions, manpower and budget across the entire Air National Guard. For New Jersey, however, the storm broke in May 2005 when BRAC announced the loss of 16 KC-135E aircraft from the 108th Air Refueling Wing. Everyday since then our leadership, the New Jersey Congressional Delegation and the National Guard Association of the United States tenaciously and skillfully maneuvered the NJANG through the storm. And in the end we are not only keeping our flying missions, but we brought two new exciting missions requiring an additional 160 positions to New Jersey as well as an opportunity to augment the Air Mobility Warfare Center with an Intel Fighter Training Unit. The first mission is an Air Support Operations Squadron (ASOS). This unit’s mission is to provide air liaison to ground forces and Tactical Air Attack Control parties. The New Jersey ASOS will link up with the 1st and 3rd Brigade Combat Teams of the 29th Infantry Division, an Army National Guard unit with elements in Virginia, Maryland, Massachusetts, New Jersey and Connecticut. This joint mission completely embodies the battlefield Airman concept. It will bring more than 60 positions to New Jersey. The ASOS is scheduled to be located at the 177th Fighter Wing at Atlantic City International Airport with its air to ground missions to be performed primarily at the Warren Grove Range. The second mission is a Contingency Response Group (CRG). This unit is the leading edge of USAF global mobility operations. The CRG provides the Air Force with a rapid entry force designed to assess and open an airbase. The CRG bridges the gap between airfield seizure forces and expeditionary combat support units. Due to the mobility orientation of this emerging mission the unit will be assigned to the 108th Air Refueling Wing at McGuire. It will associate with the active duty 621st Contingency Response Wing with a structure and concept of operations that are still being designed. The first installment of manpower positions for the CRG, which consists of more than 100 positions, is programmed to begin in FY08. Additionally a large part of our TFI/BRAC directed changes are the conversions which upgrade both the KC-135 and the F-16. 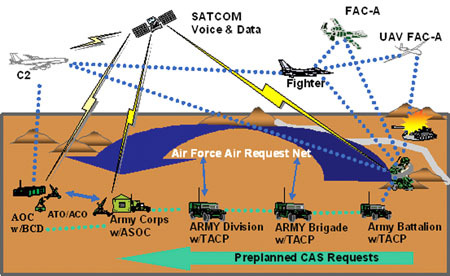 The NJANG will continue to pursue additional TFI missions including a follow-on Air Sovereignty Alert aircraft for the 177th, possible associations with the Air Mobility Warfare Center and follow-on Replacement Tanker Aircraft at the 108th. We are no longer the strategic reserve of years gone by. Our missions and airmen are relevant and actively engaged in supporting combatant commanders all around the world. I need each of you to take the attitude of the battlefield Airman to heart as we pursue excellence in our current missions and stand up these new Total Force Initiatives.